Grateful Gator Day is an annual event where we as students get the opportunity to say "thank you" to the donors that make our experience here at the University of Florida possible. The event is held on the Plaza of the Americas--where students can come out to write personal thank you notes to our donors and get a free shirt and pizza. Come by this year on Wednesday, March 14 from 9AM - 1PM and show your appreciation for our donors. See who all is going! 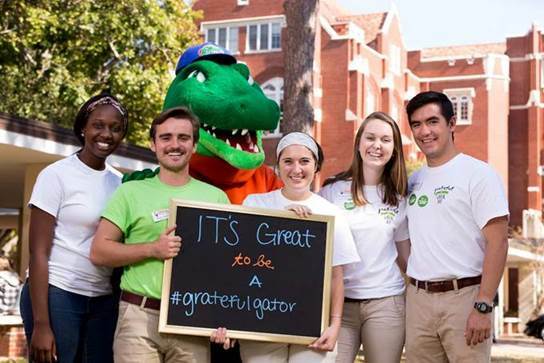 Let us know what makes you a #GratefulGator!